Mommy, Can I Lick the Spoon? 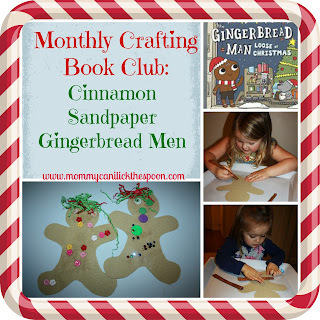 : Monthly Crafting Book Club: Cinnamon Sandpaper Gingerbread Men! 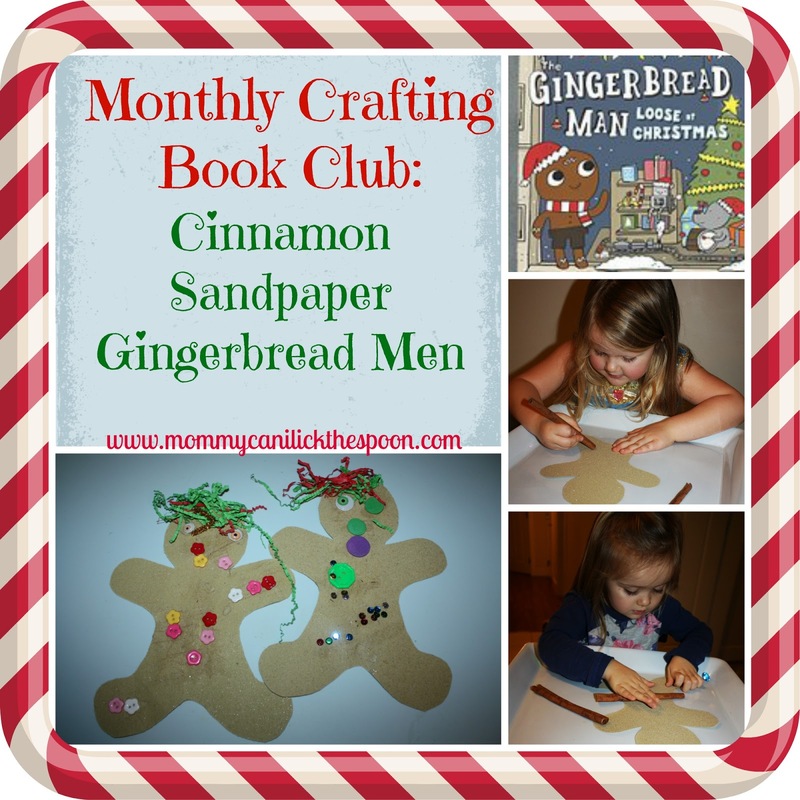 Monthly Crafting Book Club: Cinnamon Sandpaper Gingerbread Men! 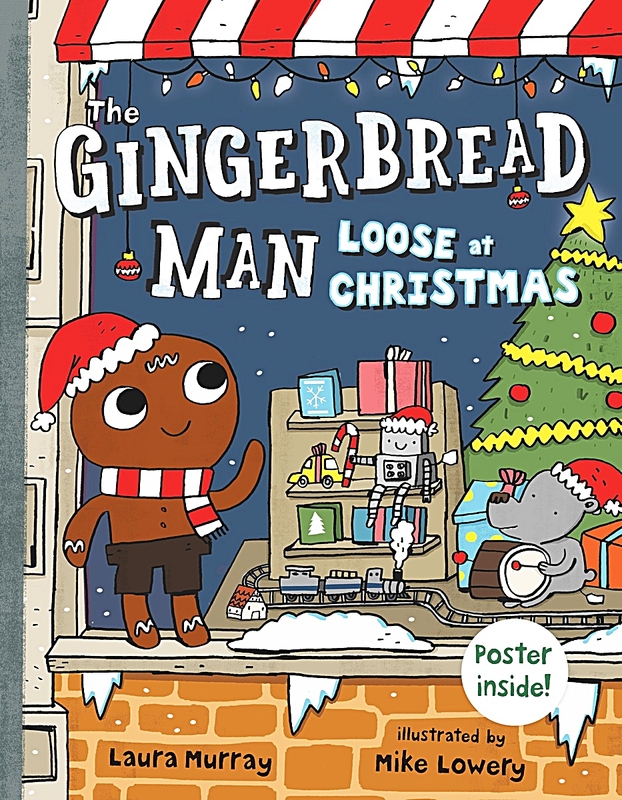 This month for our Christmas themed Monthly Crafting Book Club, I chose "The Gingerbread Man Loose at Christmas". As much as we love our, "It's Christmas David" book and all the other classics, I decided to get a book that we hadn't read before. 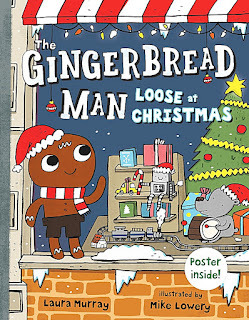 This is a really sweet book about a teacher and her class (and the gingerbread man), that spread Christmas cheer around the community by making special gifts and singing songs. My girls loved it and we have read it several times since getting it from the library. We may have to add it to our collection! Not only did they enjoy it, but it was actually the perfect book to read because I was able to start a conversation about our Christmas Eve tradition where we make hundreds of homemade cookies and put together fruit and baking baskets for the families at our local Ronald McDonald House. So, thinking about the gingerbread man, we made Cinnamon Sandpaper Gingerbread Men! That's a mouthful to say!! A simple, fun craft that smells like Christmas! Once that is done, start gluing away! My girls love doing art, and as I mentioned last month, they love messy, messy art. I tend to do a lot of messy (gluing, painting etc.) and open ended art projects with them because I enjoy watching them create. That being said, I also think there is a time and place for structured art activities, and I feel like this craft is a nice mix of messy, open ended and structured art. Hope you and your kids enjoyed this craft! I know mine did! This is so neat. I love the book reviews and I love the crafts that go along with them. Great craft...and must smell good too. Very cute.